Overview of 24FX Forex Trading Broker. The 24FX broker is on the growth of the financial industries like forex, binary options trading. There are many established brokers over the past year that has moved to offer their services to include their binary options. Anyways there are some companies that are developing and prevails the trend. 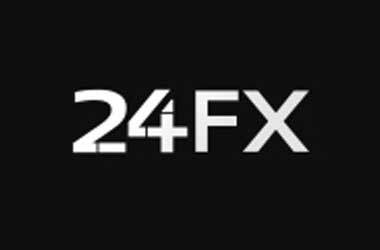 The best established broker 24Option has launched a trading platform recently called 24FX.com that seeks to provide services on forex and trading related services. Trading at 24FX broker can be performed on MetaTrader 4 platform or Sirix WebTrader. Both platforms have already proven that the platforms for the traders have nothing to worry about their reliability, credibility and efficiency. For traders who wanted to trade while they travel, they can also perform with 24FX mobile trading platform. This is designed to allow the majority of mobile devices like iPhones, iPads and Android mobile devices. Beginner traders can imitate the trades of the more experienced traders using this trading platform. Various account types are offered by the broker to the trader at 24FX. The level of trading account varies with the feature the broker provides and betters the benefits. The types of trading accounts are Silver Trading Account (Minimum Deposit $250), Gold Trading Account (Minimum Deposit $5000), Platinum Trading Account (Minimum Deposit $20,000). Based on the types of trading account the traders have opted and the assets traded, the spreads at 24FX can start from generally as low as 3 pips. Detailed list for the spreads are available on 24FX’s website under their asset index. The broker unlike the most other forex brokers, offers their customer and traders at 24FX.com with support for 24/5 basis. Traders will realise that they can get information and assistance anytime as the support staffs are available 5 days a week. Contacting the customer support can be performed by means of email, live chat or by calling phone numbers directly.